On last Xmas holidays, i finally opened the book and started reading it. Not bad for a start, haha, and surprisingly i was reading it when i'm free and cooking. It just took me 2-3 weeks spending time reading it when i'm free to finish it. I would recommend u all to read the book or log on to http://www.thelastlecture.com/ to view Prof Randy's last lecture!!! If u cant afford to buy the book, just log on to the website above to view the 1hr plus plus lecture....it's all in there!!!! FOR FREE!!!! 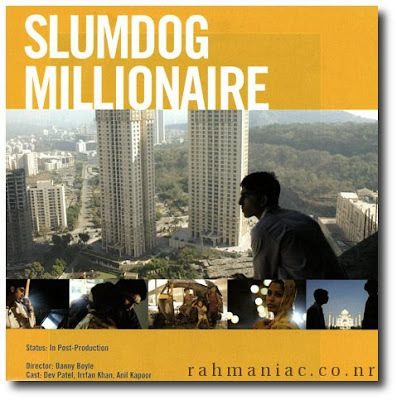 Wat comes across your mind when you heard of a movie title: slumdog millionaire?? If you look at the poster, it doesn't seem interesting at all!!! But seriouslly, this is one of the best movie i have seen so far......HIghly recommended!! This movie has won multiple awards, and aussie frens recommend it after they have watch it!!! So what's so great about this movie??? It was about an indian boy's tale in becoming a millionaire!!!! i saw the episode on Oprah where he was guest. it was so sad! is the content in the book the same as the one in his last lecture presentation? i should jus view it on youtube. need to be inspired. hehe. 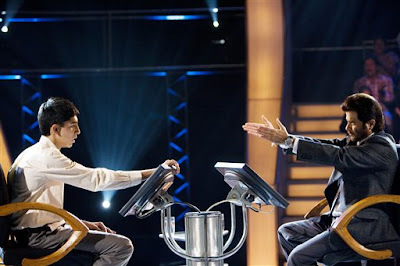 must watch slumdog millionaire too. isit a real story?